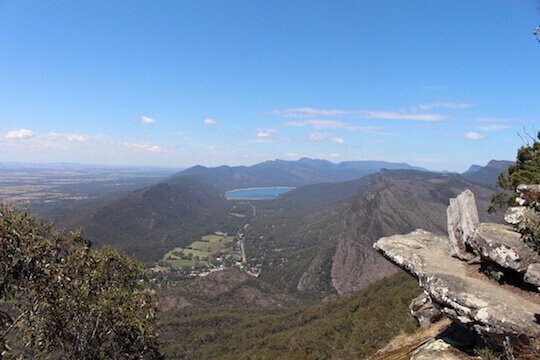 The Grampians offers a range of wonderful hiking experiences. The national park is abundant with diverse range of local animals and plants, from kangaroos at football pitch to emus and echidnas roaming in the outback. In spring, gape at a sea of wildflowers flourishing across the mountains. Watch fascinating sandstone rock formations and enjoy the breathtaking views of nearby lakes and lush forrest from various angles. 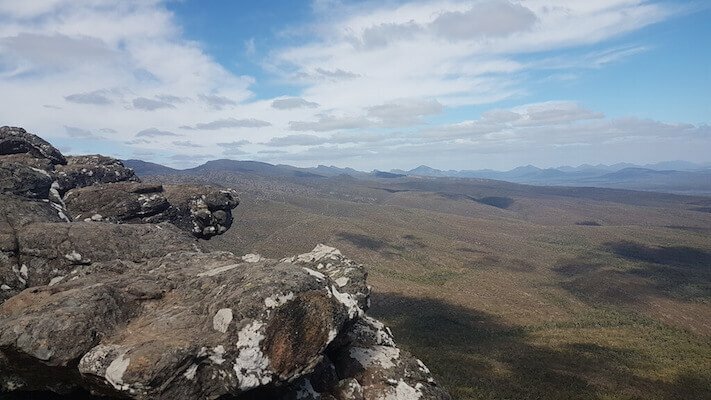 The Grampians National Park provides a wide range of great lookouts and excellent hiking tracks that suit people with different physical fitness, all of the hiking tracks in the below itinerary are relatively easy. 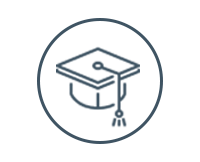 For a group booking of more than 11 people, please contact us for a quote. The Grampians, here we come! In the morning, our friendly driver will pick up from your hotel. Bypass the historic inland city of Ballarat, traverse through the beautiful Western Victoria plains to arrive at Victoria’s highland region. The Grampians National Park is located in the northwestern part of Victoria and approximately 260 km from Melbourne. It was included in the Australian National Heritage List in 2006. The park covers an area of 1,672 square km. 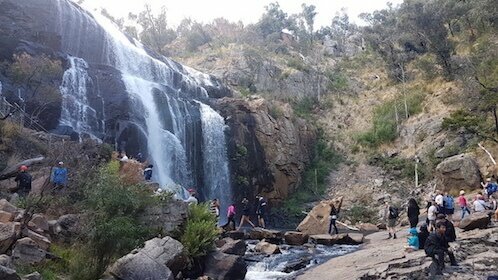 Explore the natural beauty of The Grampians along hiking trails or check out the spectacular scenery over Victorian Highland region from the awe-inspiring viewing platforms, visit Mackenzie Falls and be amazed by the cascading and splashing waterfall, why not enjoy a picnic right next to it? Reed Lookout is located right next to the parking lot. 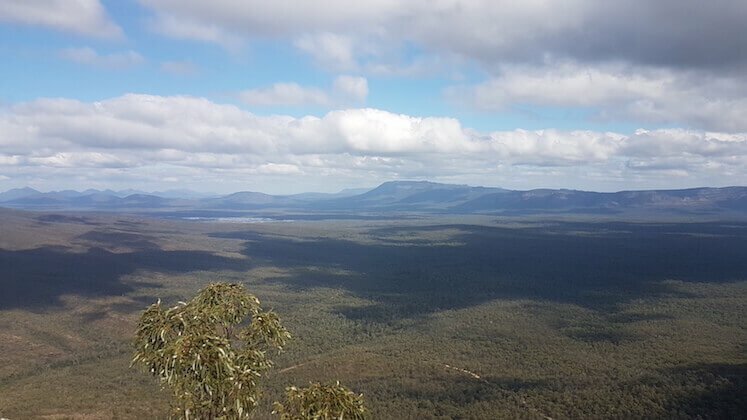 The viewing platform provides a panoramic views of the spectacular Victoria Valley, Victoria Range, Serra Range, and the surrounding mountains and thriving forests. The walking track leading to The Balconies also starts here, It is also a popular spot for capturing amazing pictures around sunrise and sunset. The Balconies viewing platform is only an easy stroll away from the carpark. It can be your little warm-up exercise before tackling the longer tracks. 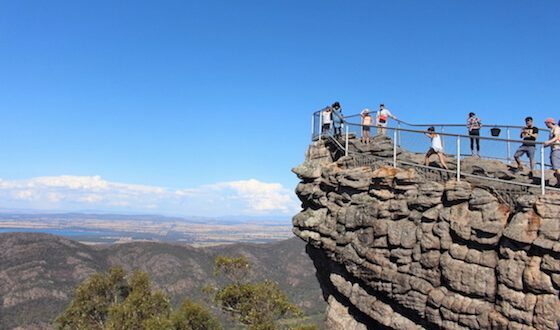 The Balconies lookout overlooks Victoria Valley and surrounding mountains. The two unique rock formations which stick out from the mountains, analogous to balconies of a building, making it one of the most popular photo spots in the national park, particularly at sunset. 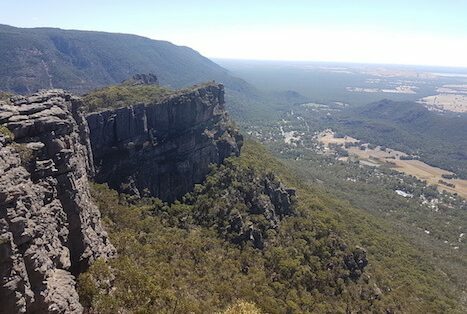 Boroka Lookout boasts of 180 degree striking views of Western Victoria, from the two viewing platforms, you will enjoy the magnificent scenery from different angles over the Halls Gap plains, Wonderland Range, Mt William Range, Fyans Valley and the beautiful Lake Bellfield in the distance. The cool breeze at the lookout will make your viewing experience even more pleasant. The magnificent Mackenzie Falls is one of the largest waterfalls in Victoria, The spectacular view of the full Mackenzie Falls at the base of the valley will make every step of the trail worthwhile, watch water gushes down over the steep cliff and listen to the sound of cascading water into the still water pool. Take a break here and sense the fine drizzle in the air produced by gushing waterfall splash. In summer, dip your feet in the crisp water while you enjoy a delicious self-packed lunch on the rocks. From the stairway next to Mackenzie Falls, you can often spot rainbow mist. 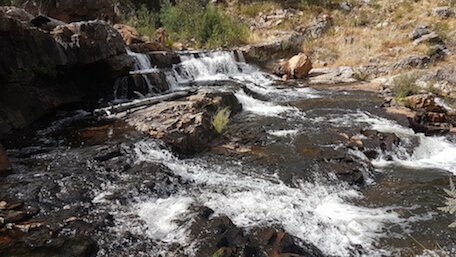 On the way back, there is a second waterfall located only 50 metres from the carpark, Broken Falls which is the upstream of Mackenzie Falls. In comparison, it has a wider cascade and water trickles down through the rocks. The nearby Lake Wartook is an oasis in the national park. Its natural beauty and crystal water make it popular with fishing hobbyists and canoeing enthusiasts. The steps leading down to the bottom of Mckenzie Falls are relatively steep, special care needs to be taken on rainy days. The Lakeview Lookout is located 15 minute walk from the Sundial carpark. en route to the lookout, you will see unique sandstone boulders on the sides of the track. 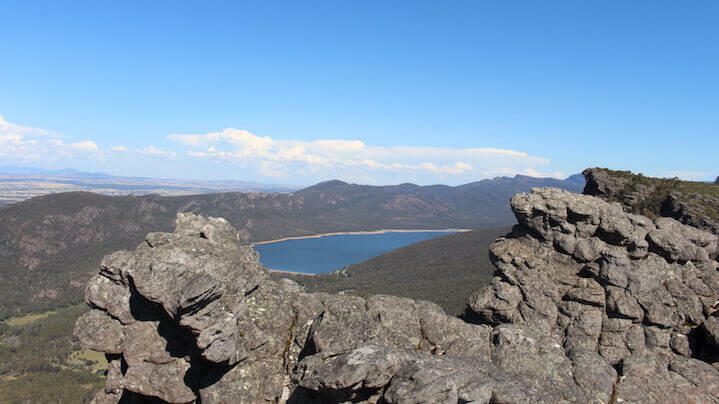 From the lookout platform, you will get a sweeping view of Lake Bellfield, Lake Fyans and the nearby Mt William ranges. Its less-travelled-by nature provides a serene environment with unrivalled charm. 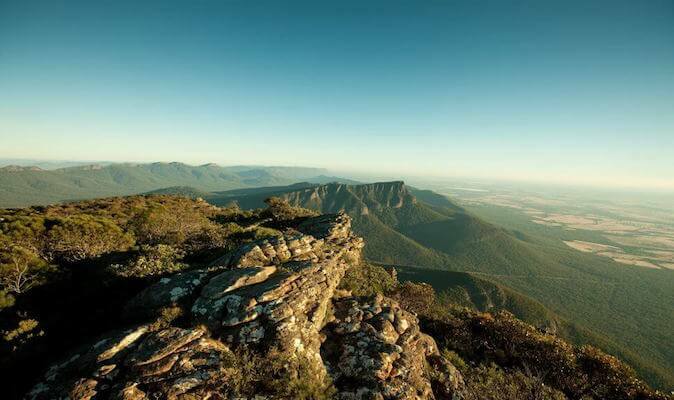 With a summit height of 1,167 meters, Mount William is the highest mountain in The Grampians National Park. It provides a 360-degree impressive views of the surrounding mountain ranges and farmland from the summit. You can observe the entire Grampians from the top. The carpark is located at a height of 920 meters, then it follows a steep hike to the top along Grampians Dunked Tourist Road. 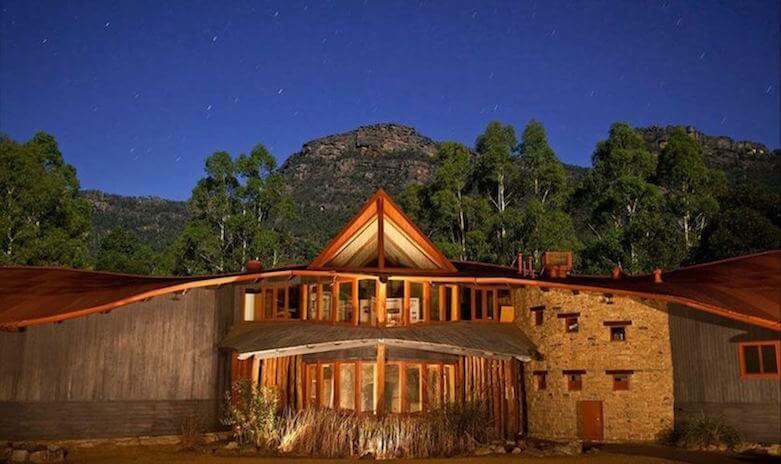 Brambuk Culture Centure is a 100% Aboriginal owned and operated local sensation, it is the longest running Aboriginal Cultural Centre in Australia. Here you can learn about the unique natural landscape and Western Victoria Aboriginal culture through multimedia shows, art exhibitions, cultural talks and other interesting and interactive activities, such as: traditional dance and boomerang throwing. The Brambuk Gift Shop offers quality Aboriginal souvenirs and art works. After a day of inspiring hikes, why not indulge yourself at one of the historic boutique wineries in Halls Gap or Great Western. 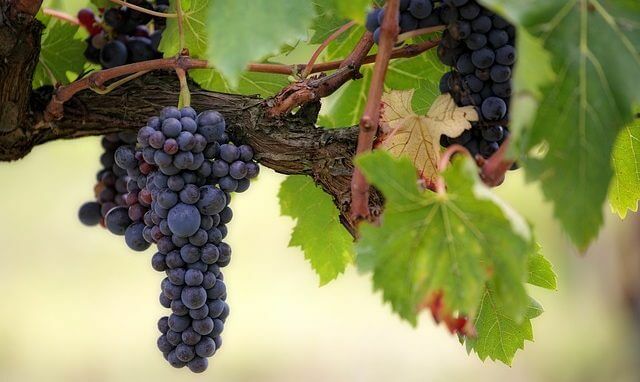 The Grampians has some of the oldest vines in Australia and is well-known for its Shiraz and sparkling wines. In Great Western, Seppelt Great Western and Best’s wineries both share a history dated back to 160 years ago. Seppelt is also the first winery in Australia to produce sparkling shiraz. On the first weekend of May, Halls Gap hosts its annual Grampians Grape Escape event which showcases wine and food from more than 100 local artisan producers with live music performances. 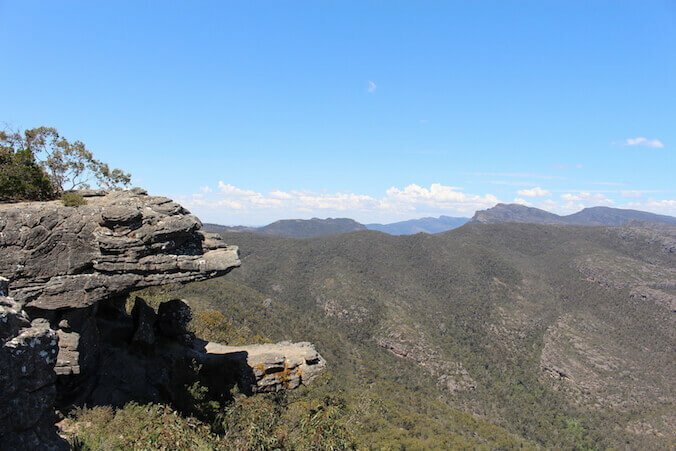 The Pinnacle is one of the most famous attractions in the Grampians range. The varied scenery along the walking track and the stunning views at the lookout will make the hike thoroughly rewarding. If you are lucky, hikers sometimes spot kangaroos, koalas and echidnas along the path. 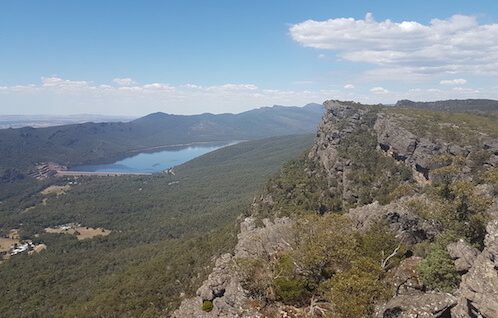 At the top, you will enjoy boundless views of Western Victoria and many other peaks in The Grampians. There are two hiking routes to The Pinnacle, we usually recommend our guests to choose the track starts from the Sundial carpark, although it is on par with the other trail that starts from the Wonderland carpark in terms of walking distance, However it is relatively easier to hike (medium level hike, in comparison to the Wonderland trail which is difficult). There are route markers on the ground, follow them closely to the summit. Halls Gap Zoo is located 7 km from Halls Gap and covers​​ a land of 10 hectares. 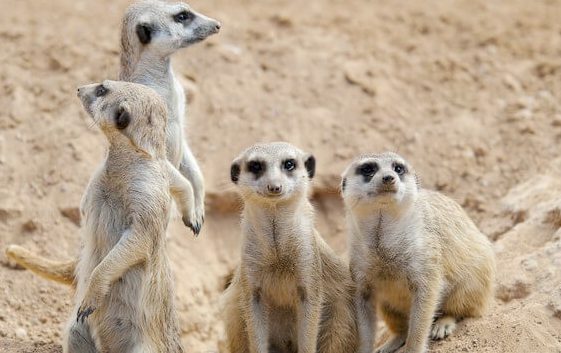 It is Victoria’s largest inland regional zoo with 160 species of wild animals including mammals, reptiles, birds and a large number of Australian native animals. Opens daily from 10am to 5pm. The Grampians is a national park located 260 km west of Melbourne, it was listed on the Australian National Heritage List in 2006 because of its magnificent sandstone mountain ranges and indigenous rock arts. 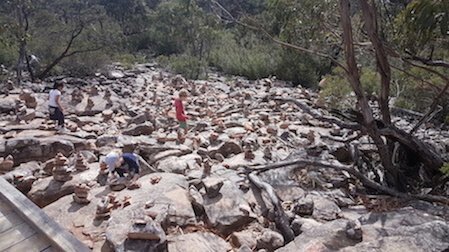 The national park has many spectacular sandstone ridges and it offers a wide selection of bushwalking trails of varying difficult level and duration. Although it is best for visiting in spring when heavenly wildflowers blossom across the mountains, as opposed to summer time when it’s very warm. 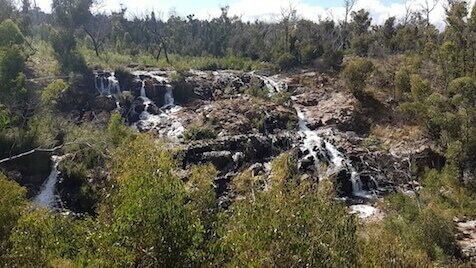 However the Mckenzie Falls provides visitors with an oasis to soothe and relax under balmy weather condition. With major look-out spots and attractions, such as: The Pinnacle and The Balconies. 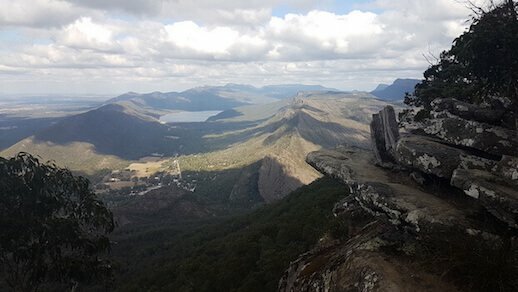 The Grampians is a perfect location for bushwalking and stunning scenery.